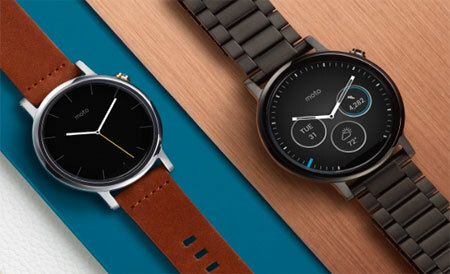 Italian ‘Mister Gadget’ is one of the first to get their hands on Motorola round smartwatch. 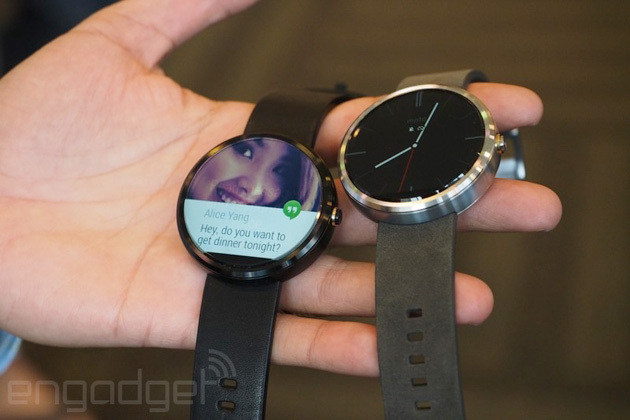 Motorola moto 360 promises to be an iconic product. 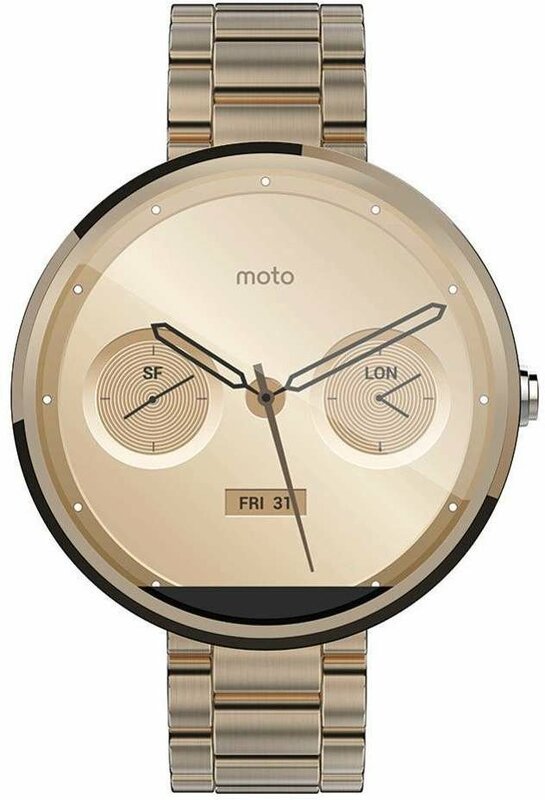 Only the round shape will get Moto 360 to poke out in proportion to the quantity of angular watches. 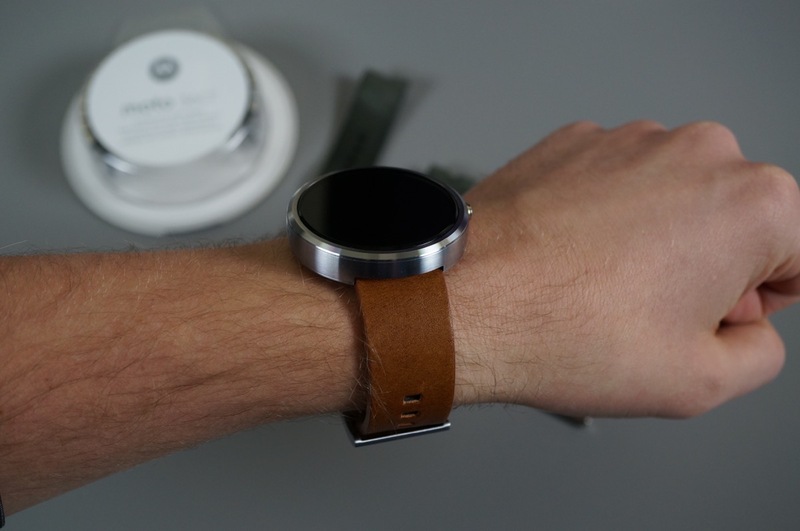 First tests of Luca Viscardi, even appointed as ‘Mister Gadget’, suggesting that the Moto 360 will not disappoint. 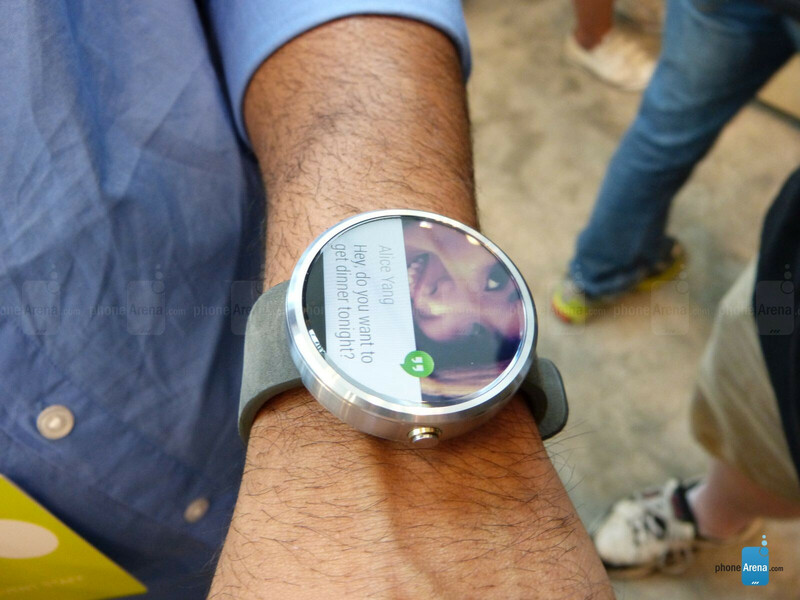 A large picture gallery shows, among other things, Moto 360s Wireless charging in action. 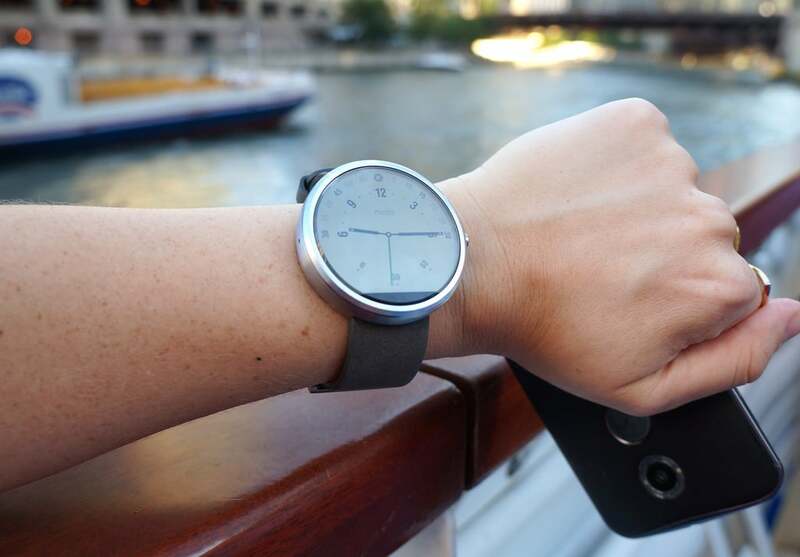 The dock is a minimalist plastic which maintains the clock magnetic. 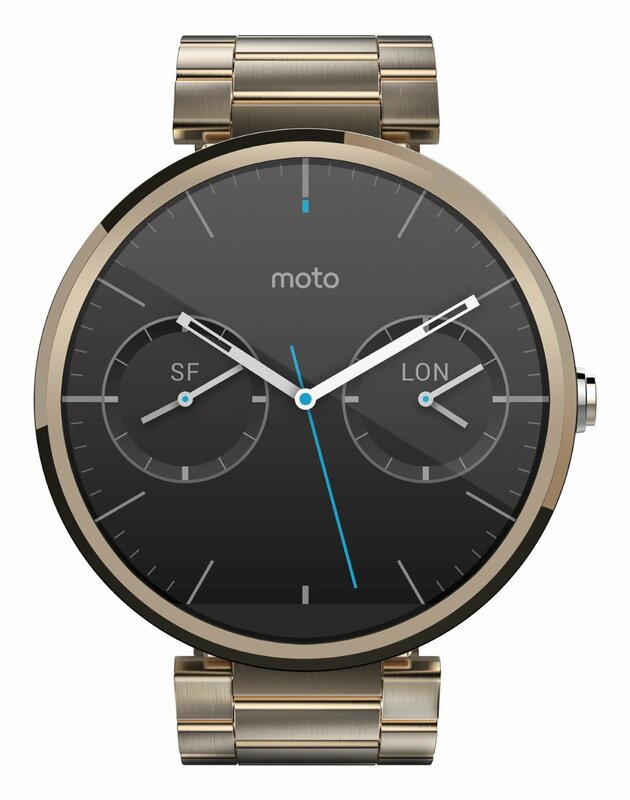 There is thus no ladekontakter to track on Moto 360. 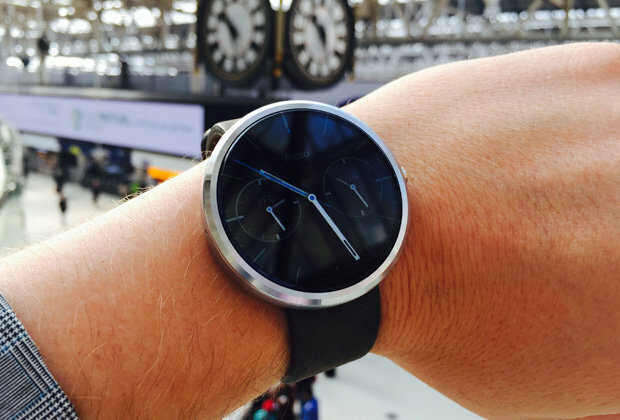 Charging will be therefore a simple matter: connect with cables or micrometer precise docking of the clock. 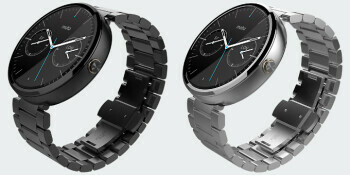 At the same time, asserts that he is experiencing 2 ½ days of Luca power on the clock. Operating times may vary tremendously depending on use. 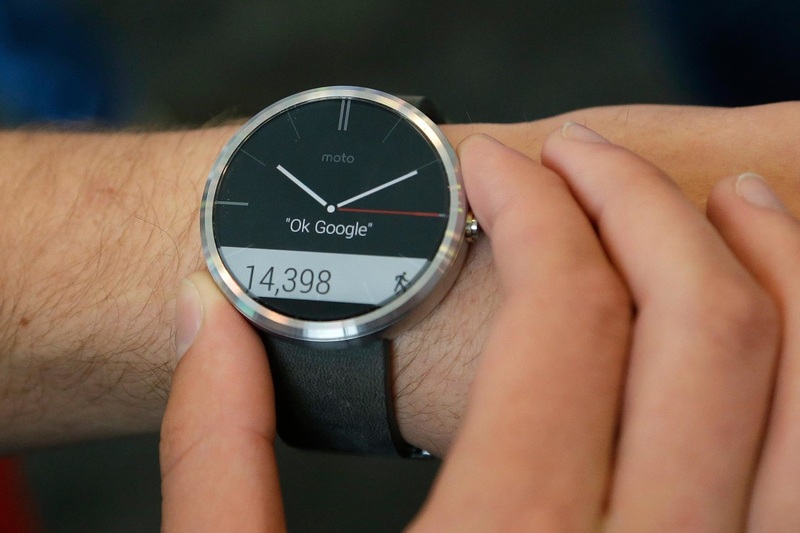 Moto 360 has served as standard-bearer for Google’s Android Wear. 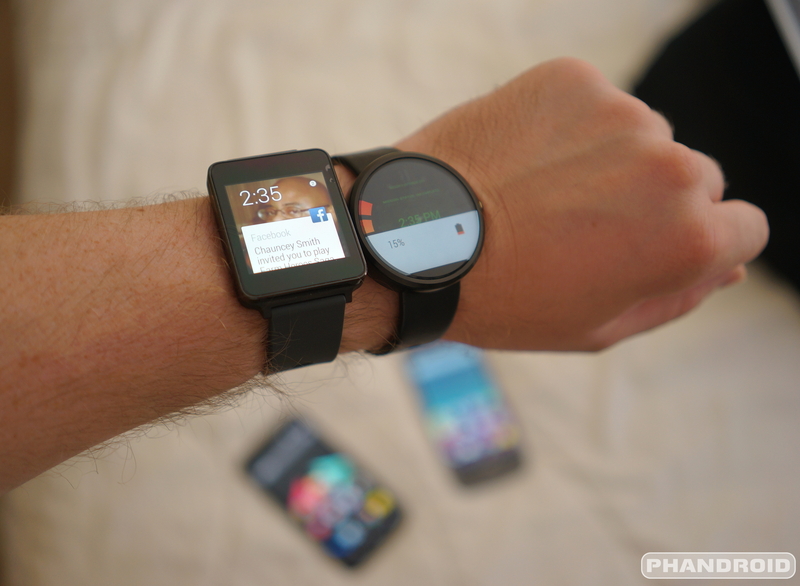 Google’s response on an operating system for both square and round smartwatches. 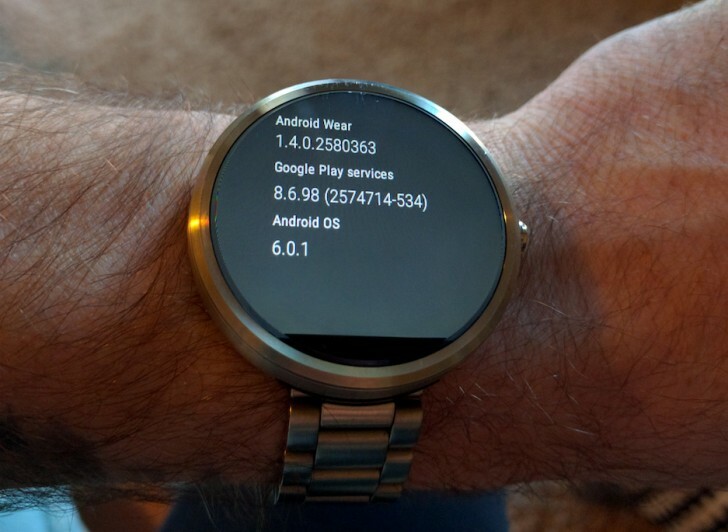 The software was proudly showcased to Google I/O 2014, but the actual device’s specifications are not being sure. 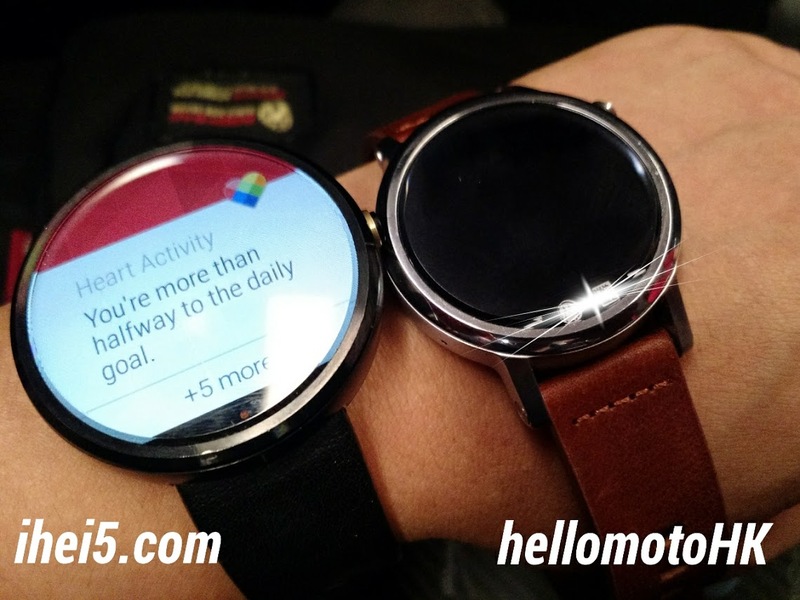 Pictures of the bottom at moto 360 reveals, however, new on that front. 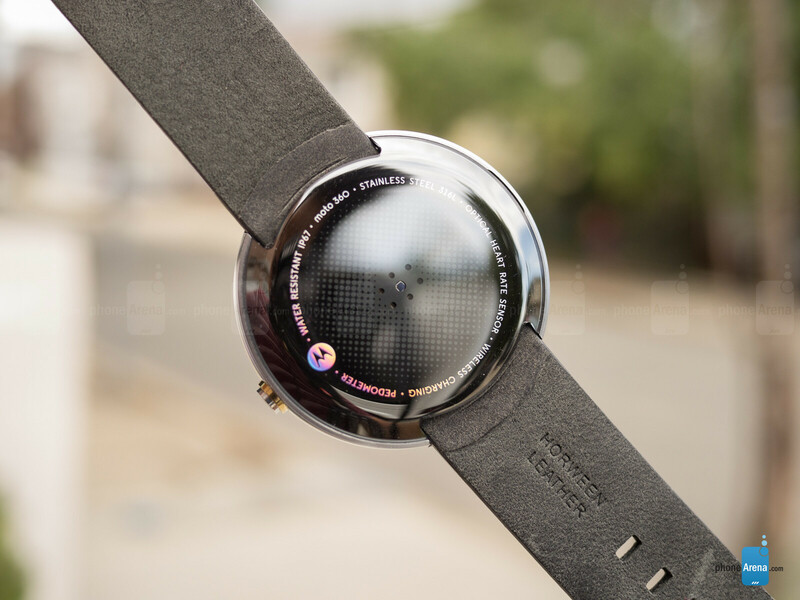 Small holes houses an optical pulse meter, very similar to those found in Samsung Gear family. 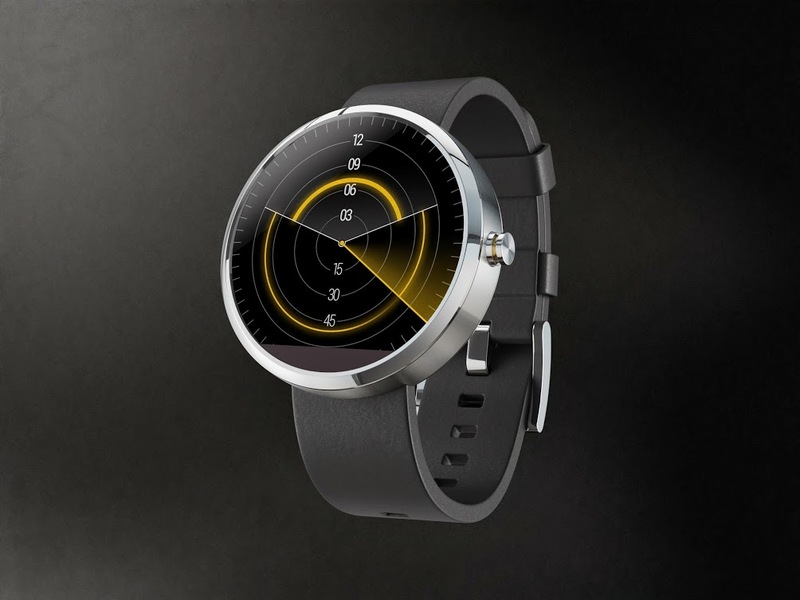 At the same time is a pedometer built-in, so full self-tracking is ensured on Moto 360. 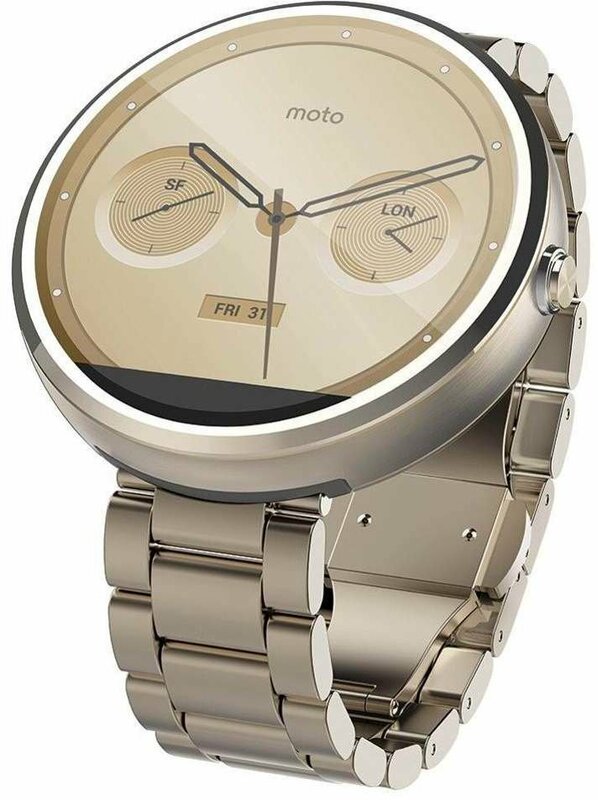 Moto 360 is IP67-certified, which means that you can have a clock with it in the shower or bathtub. To the beach and dive trips must, however, be at home or on the beach clock as it can’t handle more than 1 m depth or strong water pressure. 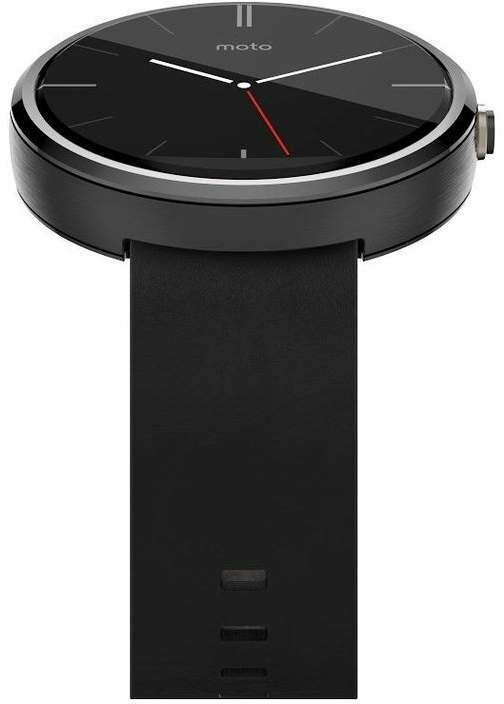 Some will reportedly argue that the main advantage of Moto 360 is that it doesn’t look like a smartwatch.80s Casio-associations are gone. 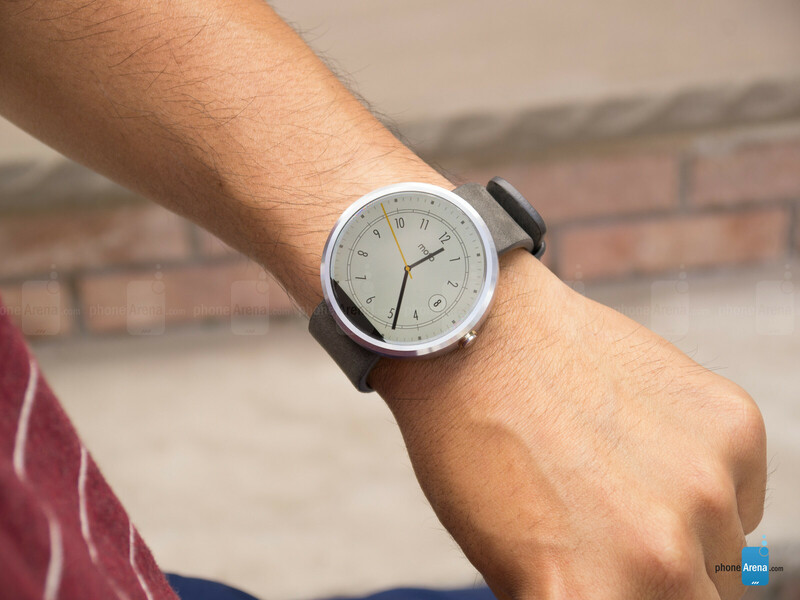 In order to strengthen the impression is the strap detachable on Moto 360, just like on regular watches. 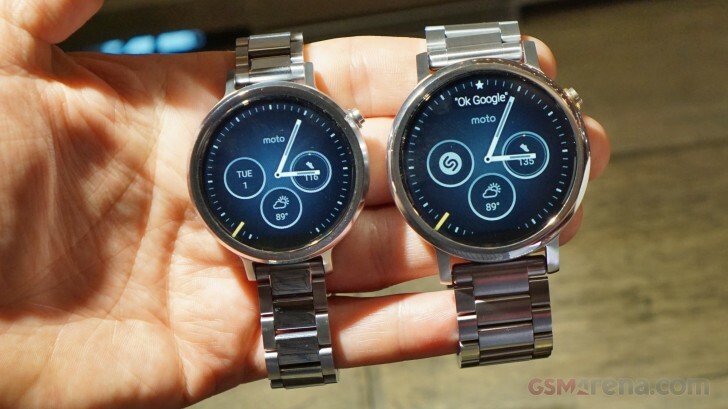 Agency’s look can be customized and can mimic everything from chronograph digital watch. 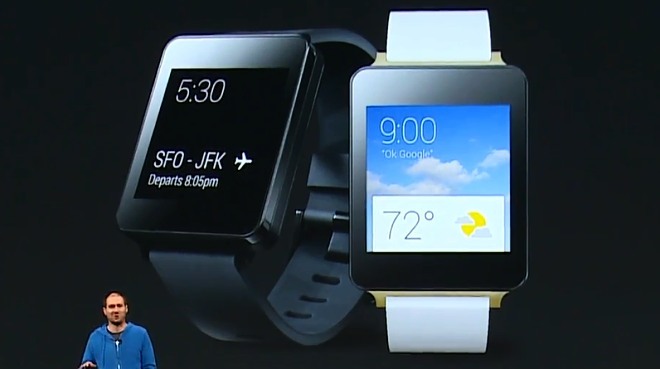 Luca confirms, however, that agency feels thicker in use than a regular wristwatch. 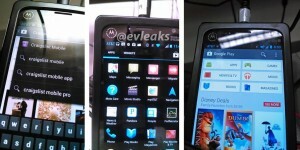 The screen itself is also not 100 percent round, for a small frame at the bottom hides the display electronics. 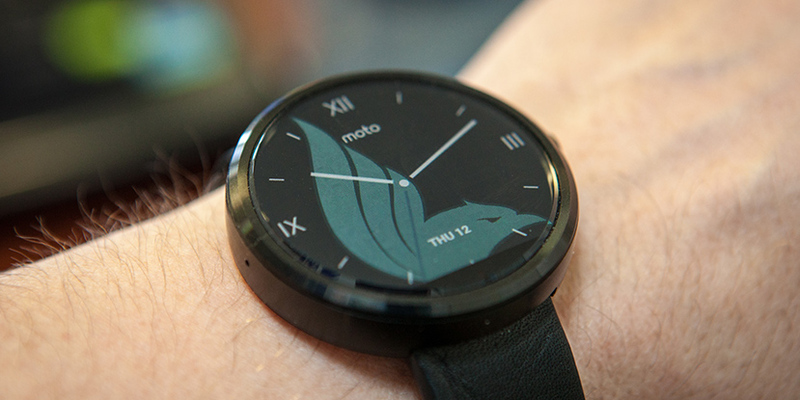 Will officially Moto 360 livelihood during the summer, therefore is an early launch on the stairs. 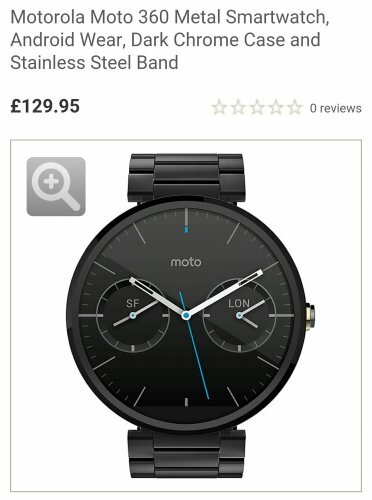 The retail price is $ 249 without Danish customs and VAT.